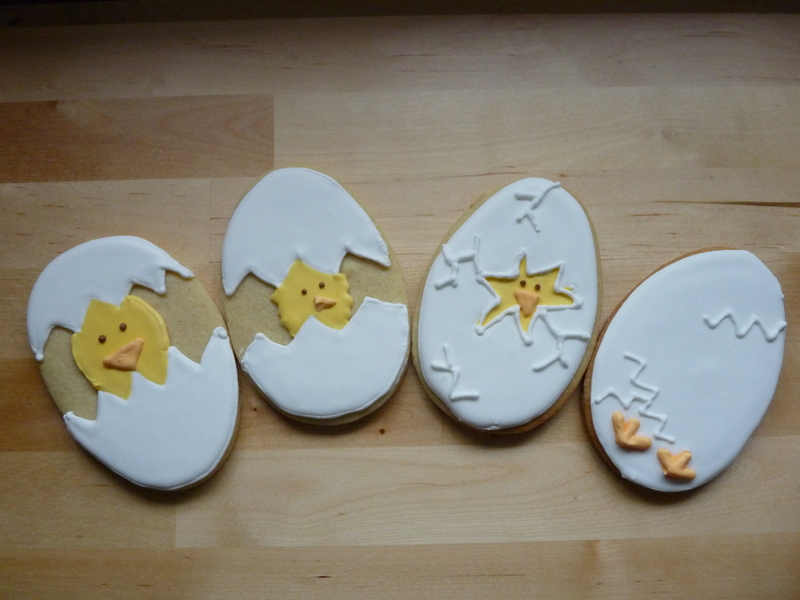 Tomorrow is Easter, so to celebrate, my sister and I decided to make some Easter-themed sugar cookies. 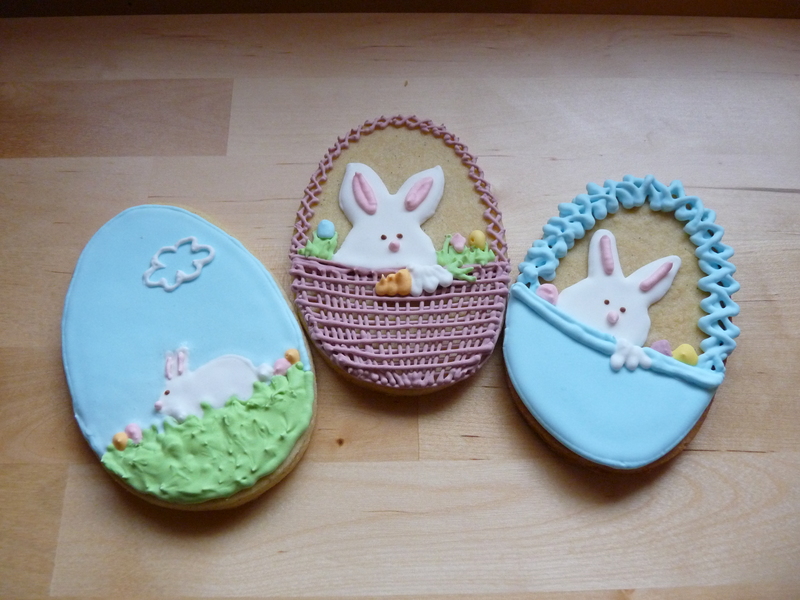 We’re still honing our skills– we’re definitely still amateurs, especially if you check out some of these cookies! We did our best, though, and I thought we should share the results. I think we’re getting better. 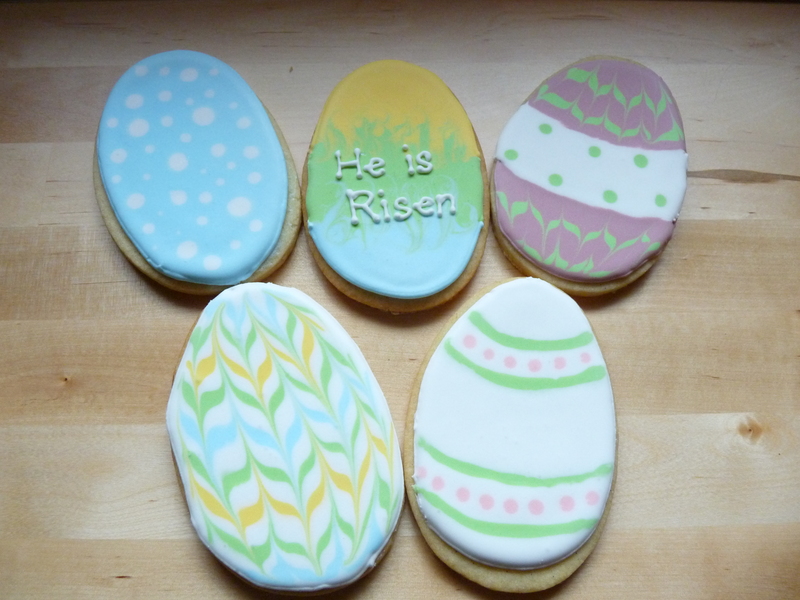 We made several different types of cookies, just to play around and see what we like. First we have the chickies. 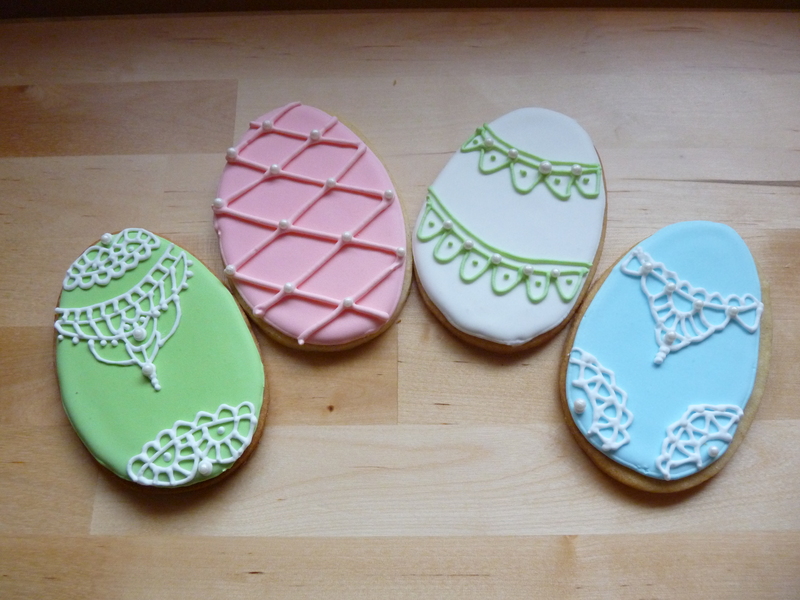 Next we have the ones where we did the pattern with flood icing. These are a lot like the ones we made at Christmas. 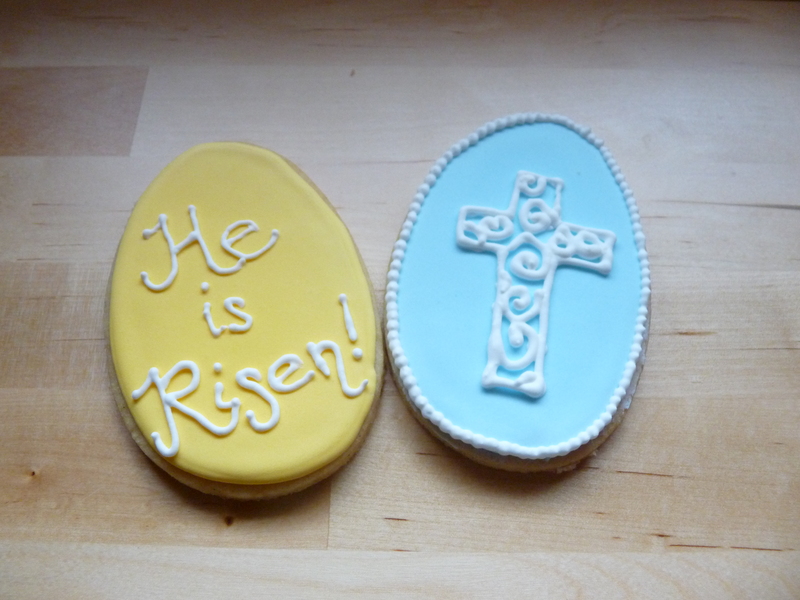 The cross was made by piping out the shape on wax paper, then adhering it to the cookie when it dried. 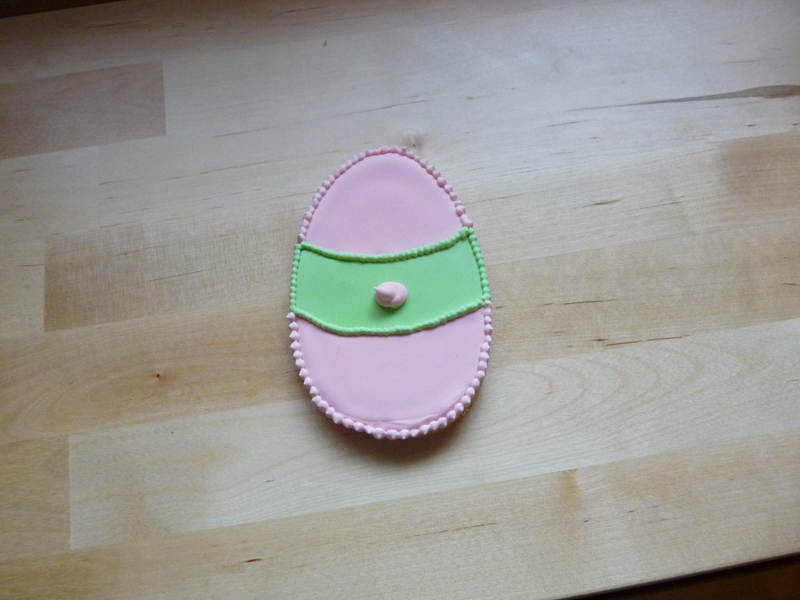 We made some Faberge-inspired eggs. 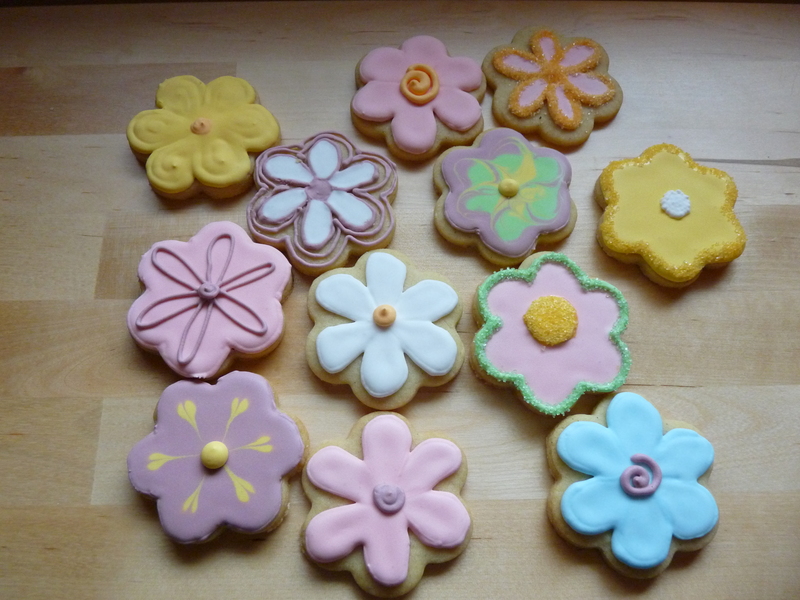 We also made some flowers. Yay! We got tired of decorating flowers, though, and turned some of them into other things. I think these are my favorite. As always, there were a few that weren’t so great. 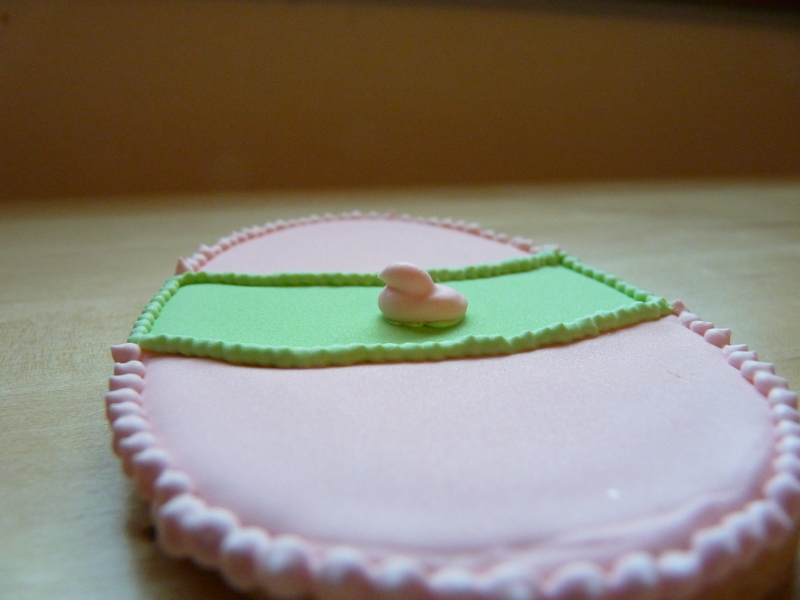 What is that thing on the middle of this cookie? 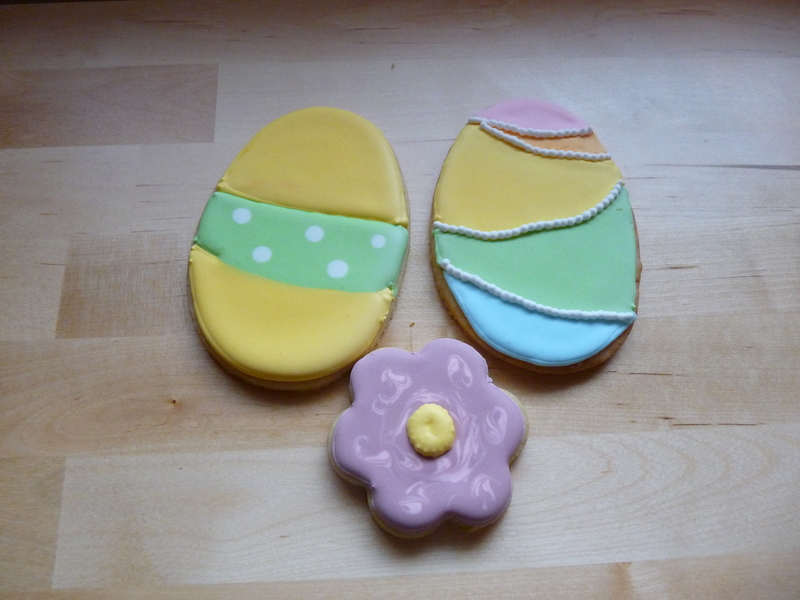 These were fun to make, and I think we’re getting better at getting the right consistency to our icing. 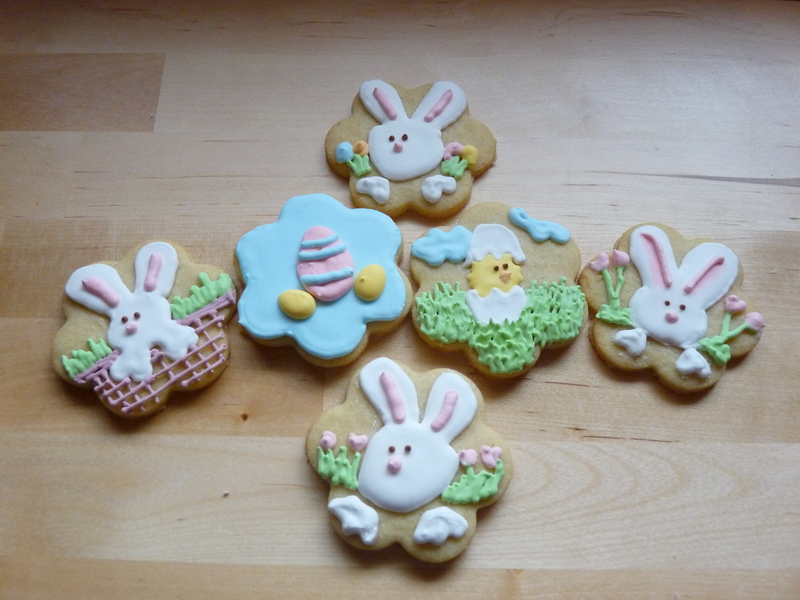 Hopefully some day we can make cookies as cute as the ones I linked earlier.